Made me giggle, too! Very cute. They look better than the sweet potato! Thanks, they really were yummy! These were so good! Not enough though! Wow, this looks like such a great recipe! (I am so glad you stumbled upon my blog.) I am excited to make these this weekend, hurray! These look delicious! I’ve just discovered kale chips as well – I’m loving all the semi-healthy alternatives to potato crisps. You are truly a genius! I have never thought of roasting the skins for a snack. They look so crispy and perfectly delicious. HI. I nominated you for the Liebster award.. Good luck. 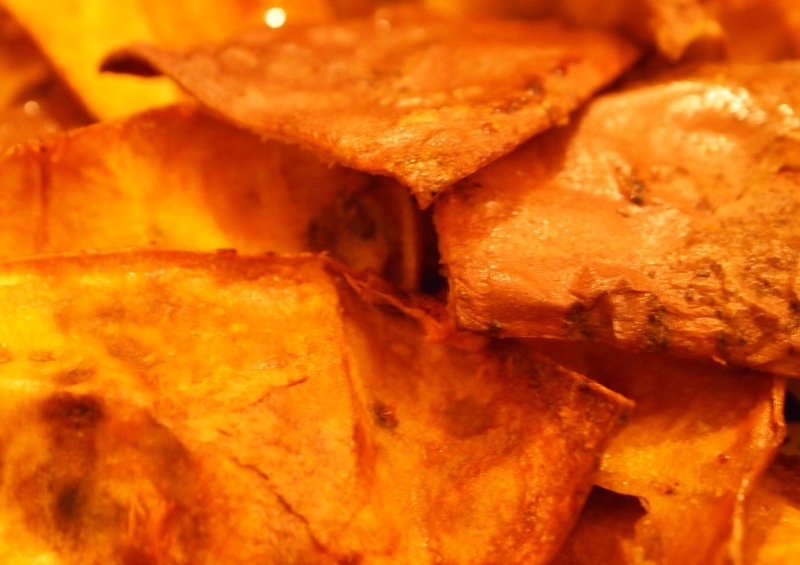 I love the idea of making crisps with the skins of potatoes. I think they’d be gorgeous with a nice spicy salsa. Yum these look way better than what you would get at a restaurant! WHAT a great idea! Especially since I’ve been peeling that skin away (since my picky kids will pick it off if I don’t). They might even be fooled into eating them anyway since they look just like chips! Fantastic! Thanks! Thanks for sharing this Vered. What a great way to use the skin! Oh man, this sounds so good! 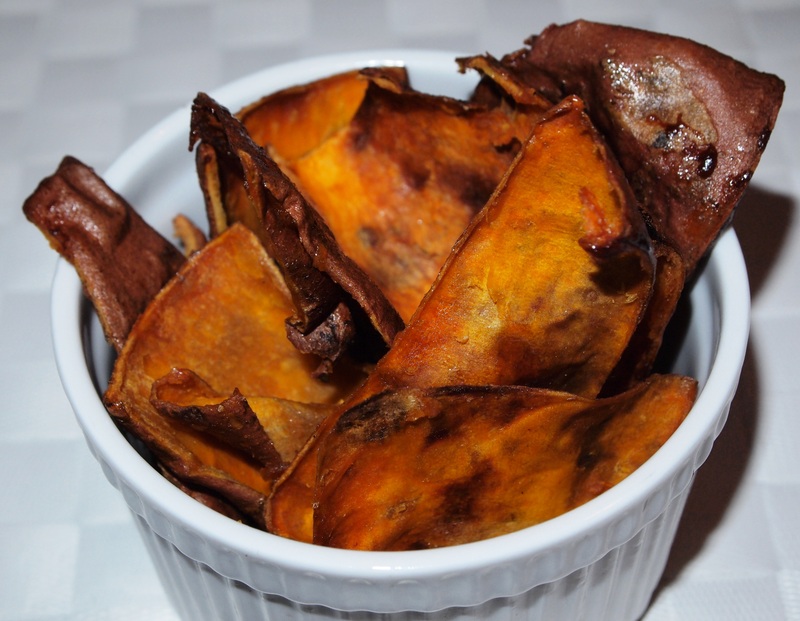 I can’t think of many recipes where I’d use the middle of the sweet potatoes *without* the skin… but the next time one occurs to me, I’ll definitely make this too! Sliced baked potatoes: thinly slice almost all the way through. drizzle with butter, olive oil, salt and pepper. bake at 425 for about 40 min. i want to try this with a sweet potato!